Some 280,000 positions were created in May, a healthy pickup to the 2015 pace. If this level of hiring keeps up and participation holds steady, unemployment would fall below 5 pct by year’s end. That’d beat the central bank’s projected range – and makes it harder to delay action. 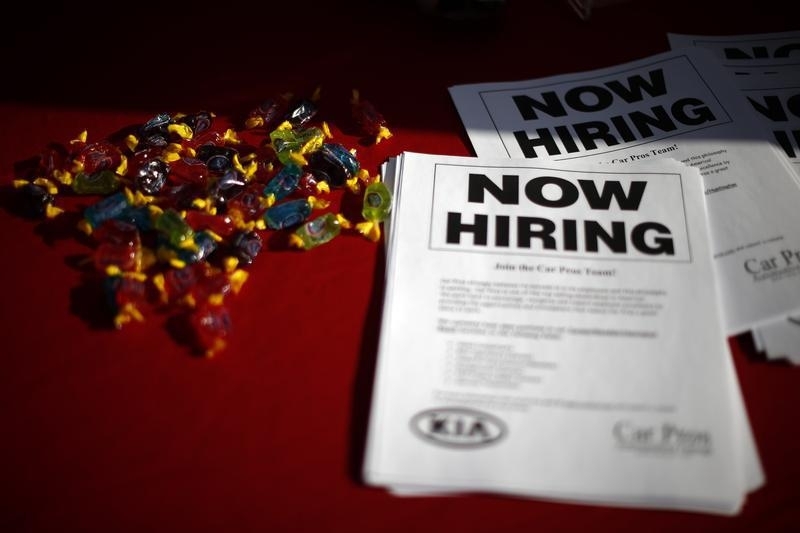 The U.S. economy created 280,000 jobs in May as the unemployment rate ticked up to 5.5 percent, the Bureau of Labor Statistics reported on June 5. The workers added exceeded consensus estimates by economist of 225,000, according to Thomson Reuters polling. Friday’s report also revised March’s result up to 119,000 new jobs from 85,000 and April down slightly to 221,000 from 223,000.